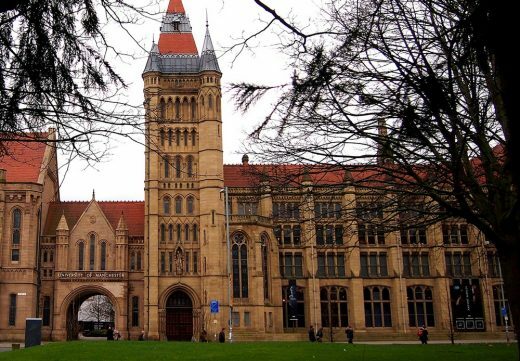 Manchester Museum, part of The University of Manchester, has started developments towards its Courtyard Project with the appointment of a prestigious team. The University of Manchester is delighted to announce the appointment of architects Purcell for the proposed transformation of the Museum and designers Ralph Appelbaum Associates (RAA) to lead the interpretive exhibition design for the South Asia Gallery, whilst Buro Four will be Project Manager. The Courtyard project will transform the Museum with a major two-storey extension, a new main entrance, and much-improved visitor facilities inspired by a new ethos of a ‘museum for life.’ A key feature of the project will be a permanent South Asia Gallery created in a landmark partnership with the British Museum. Development funding of £406,400 has been awarded from the Heritage Lottery Fund (HLF) to help Manchester Museum progress its plans to apply for a full grant at a later date. The total cost of the Courtyard Project is expected to exceed £12.4million, with £5 million from the Treasury towards the South Asia Gallery. Manchester Museum has appointed Purcell as architects and full design team for the proposed transformation of the museum. The firm’s winning bid was praised for not only demonstrating their understanding of the historic fabric of the Grade II listed buildings, but also for its response to transforming the experience of visiting. For Purcell, this project is a highly significant commission, giving its architects the opportunity to combine decades of experience as the country’s leading experts in the repair and reuse of historic buildings, with a growing ambition to produce the very best contemporary architecture. The team has extensive experience working on cultural landmarks in the region, with past projects including Liverpool’s St George’s Hall, the Florence Institute and Blackburn’s Cathedral Quarter redevelopment. Purcell’s museum experience includes work at the British Museum, the National Maritime Museum in London, the National Museum for the Royal Navy in Portsmouth, National Mining Museum Scotland and St Fagans National History Museum in Wales. The full appointment includes Purcell as architects with their sub- consultants BuroHappold Engineering (Structural Engineer) and Max Fordham (Mechanical and Electrical Engineer). Designers Ralph Appelbaum Associates (RAA) are appointed to lead the interpretive exhibition design for the South Asia Gallery at Manchester Museum. RAA are planners, designers and producers of award winning museums, exhibitions and educational environments worldwide. The South Asia Gallery will be developed by RAA’s London studio, which was established in 2000 by Mr Phillip Tefft, Director of UK Operations. 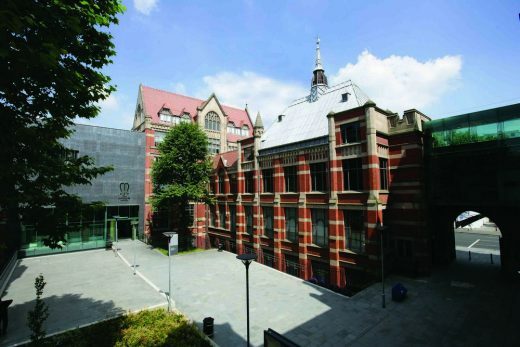 Recently opened projects by RAA’s London studio include Lincoln Castle and the interpretation of Magna Carta (2015), The Women’s Library at the London School of Economics Library (2015), ‘The First World War in the Air’ at the Royal Air Force Museum (2014), which received a Graphis Platinum Award, the Crown Jewels at the Tower of London (2012), the National Museum of Scotland in Edinburgh (2011), which received a Museum and Heritage Award and a Civic Trust Award. Dr Nick Merriman, Director of Manchester Museum, said, ‘We are delighted by these appointments to what will be the Museum’s largest project in a generation. They are the first step in a major transformation which will make the Museum appealing to even wider and larger audiences’. Buro Four, specialist project and programme manager has a particular strength in the planning, management and delivery of prestigious cultural and education projects as well as working with the HLF to deliver projects that truly capture the value of heritage. This project will be managed by Buro Four’s Manchester office, which is also currently managing the £320m Engineering Campus and FirstLight and SKA projects at Jodrell Bank for the University as well as the second phases of restoration and development at Gorton Monastery and Band on the Wall. Buro Four have also recently been appointed to deliver the Museum of London’s £150m new home at West Smithfield in London. David Boles, Regional Director, said, ‘This project presents such an exciting opportunity to expand on the cultural offer for Manchester and we’re absolutely delighted to be a part of it. We have always genuinely enjoyed delivering projects in this sector and take great pleasure from helping our clients create and enhance cultural opportunities in historic settings’. Our practice works as one family of many experts: architects, designers, heritage leaders, developers and specialist consultants. Ideally placed in key regions covering the UK and Asia Pacific, we undertake projects largely in eight sectors. Clients come to us when they need to make sense of their project. Complex scenarios involving historic sites, heritage buildings, admired places and their transformation, and building new structures and spaces. We have been practising for seven decades making sure our buildings are designed for use today and for future generations. Ralph Appelbaum Associates (RAA) are planners, designers and producers of award winning museums, exhibitions and educational environments worldwide. Subject areas range from natural history and the physical sciences, to cultural, social and corporate history, to sports and the fine arts, with more than 650 commissions in the company portfolio. Founded in 1978, RAA has expanded to become a global group with studios in New York, London, Berlin, Moscow, Dubai and Beijing. Since opening 38 years ago, RAA’s New York studio has planned and designed hundreds of high profile projects including the National Museum of World War I at the Liberty Memorial in Missouri, the Clinton Presidential Library in Arkansas, the Fossil Halls and the Rose Centre for Earth and Space at the American Museum of Natural History in New York, the US Holocaust Memorial Museum in Washington D.C., the Newseum in Washington D.C., and the Smithsonian National Museum of African American History in Washington D.C., which is due to open this year. We are an independent, specialist provider of project management and associated services to clients across the UK, Europe, Middle East and Far East. Our core service is project management, with a complementary suite of services including programme management, design management and strategic workplace advice. We are experts in managing projects and programmes; providing exceptional quality, tangible value and innovative solutions at any point of a project’s lifecycle, from concept to completion. We apply our values and ethos in everything that we do, which makes more of a difference to our clients. Our independence and specialism ensures our sole focus is on their interests and exemplifies our commitment to ‘giving more’ through the challenging of design, application of truly creative solutions and the mastering of control over programme and budget. Our project managers are experienced project leaders and come from diverse backgrounds in Property and Construction representing an eclectic mix of the industry with experience and a common interest in good management. We are an independent consultant engineering practice with an international presence. Over 40 years, our name has become synonymous with the delivery of elegant, efficient and resilient engineering that responds to the challenges of our ever changing world. Having worked on every continent, our clients include more than 90% of the top architecture firms and we have collaborated with global organisations such as the United Nations, the World Bank and UNESCO. Our interconnected community of professionals is committed to pushing the boundaries of engineering design, combining creative thinking with the latest technology to realise iconic projects. We have a proven track record in providing sophisticated and streamlined engineering services for museum projects – from the expansive new furniture gallery at the Victoria & Albert Museum in London, to the ultramodern Museum of Transport in Glasgow. Although the scope of these projects is diverse and far-reaching, they are united in demonstrating our ability to deliver state of the art engineering solutions that realise iconic venues. We are engineers who bring buildings to life with beautiful engineering. In the 50 years since 1966 we have worked with the world’s leading architects from our offices in London, Edinburgh, Cambridge, Manchester and Bristol. We bring understanding of the whole building from early stage design concept to the detail of delivery. Crossing the boundaries between traditional disciplines we engineer air, light, sound and energy, solving problems a less integrated approach might not even find. We are known for our deep understanding of sustainable building, delivering outstanding projects worldwide, including Switch House at Tate Modern, the Liverpool Philharmonic and 2016 Stirling Prize winning Newport Street Gallery. Heritage Grants applications are assessed in two rounds. A first-round pass is given when HLF has endorsed outline proposals and earmarked funding. at second-round and as long as plans have progressed satisfactorily and according to the original proposal, an award for the project is confirmed. Purcell is delighted to have been appointed as architect for the Courtyard Project at Manchester Museum, part of The University of Manchester. The architect’s winning bid was praised for not only for demonstrating their understanding of the historic fabric of the Grade II* listed buildings, but also for its response to transform the experience of visiting. The Courtyard project will transform the Museum with a major two-storey extension, a new main entrance, and much-improved visitor facilities inspired by a new ethos of a ‘museum for life.’ A key feature of the project will be a permanent South Asia Gallery created in a landmark partnership with the British Museum. Designers Ralph Appelbaum Associates (RAA) are appointed to lead the interpretive exhibition design for the South Asia Gallery. The team has extensive experience working on cultural landmarks in the region, with past projects including Liverpool’s St George’s Hall, the Florence Institute and Blackburn’s Cathedral Quarter redevelopment. Purcell’s museum experience includes work the British Museum, the National Maritime Museum in London, the National Museum for the Royal Navy in Portsmouth, National Mining Museum Scotland and St Fagans National History Museum in Wales. The total cost of the Courtyard Project is expected to be £12.4million with £5million towards the South Asia Gallery provided by central government in November 2015. Manchester Museum has been successful in a first round application to Heritage Lottery Fund (HLF) for its Courtyard Project and has received development funding of £406,400 help progress its plans to apply for a full grant at a later date.